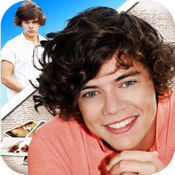 Take a photo with Harry Styles! Put him into your photos! Kiss him, make your friends jealous!